It’s not hard to see that Daniel Scott, who adores his pet gecko, Gex, came into this world to make a difference. Here is a smart, chatty boy with a mission to rescue an endangered creature. Maybe it’s because for a time, he too, was on an endangered list. Daniel is dyslexic, although the definitional currency today would be reading and writing disorder or learning disability, or in some cases, ADD or ADHD. At school in Squamish, B.C., where so much of his life takes place, there were more brutal schoolyard names for it. Idiot. Stupid. Dumb. Written words, to him, were like hieroglyphs. He couldn’t put pen to paper, he couldn’t read, and he produced virtually no work. He was considered emotionally immature. It was attributed to his temperament. Then, when he’d borne all the frustration he could take, he dug in his heels and became defiant, a behaviour problem. His school file measured three inches thick. And in Grade 3, he was suspended after a schoolyard fight. You are going to get out, she promised him. Everything will be OK, she soothed him as she put him to bed. Meanwhile, Daniel was a talented little artist and had an incredible memory. He was a walking encyclopedia on the subject of reptiles. To her enormous relief, Scott was able to keep her promise to her son, after three years of helplessly watching him flail away in the school of hard knocks. After one $1,500 series of private testing, one small sentence in the report stood out. 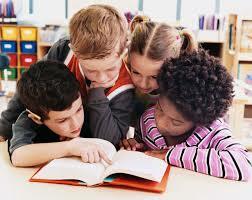 It advised her to keep an eye on his reading and writing because there was dyslexia in his hereditary past. “The suggestion at the time was that Daniel was ADD or ADHD (attention deficit disorder and hyperactivity disorder) and suggested he might try Ritalin if for no reason than to rule it out,” says Scott. “Now I had a measuring stick,” Scott says and set to work. She researched the programs available for his dyslexia and wasn’t satisfied. “They treat the symptoms and Daniel would have become an incredible memorizer,” she felt. 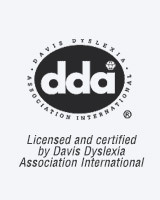 She typed in www.dyslexia.com on the Internet one day and found the Davis Method for correcting dyslexia. 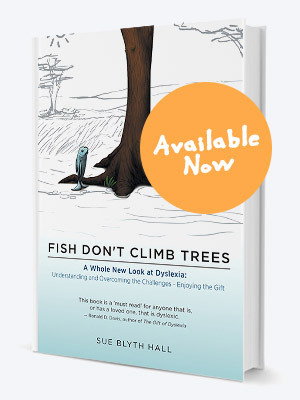 And she found Sue Hall, of Positive Dyslexia, who had just started teaching this method in West Vancouver. It was founded in California in 1982 by Ron Davis who was dyslexic and an engineer with a genius IQ. Proponents claim there is a 98 per cent success rate in helping dyslexics read and write. There are now 177 Davis learning centres around the world with five in Canada. Three are in Ontario, one in West Vancouver and one in Calgary at the Rocky Point Academy. “When Daniel came out of the program after five days, he’d gone from thinking he had a handicap to thinking he had a gift. His change in attitude has been noticed by teachers in the school system,” says Scott. “His teacher told him he could easily turn them into Bs,” adds his mother. “He still struggles socially and he’s catching up emotionally. He’s been rejected for so long and made to feel different, he’s not sure how to be with other kids. On Vancouver Island, Bob and Susan Lee tell a parallel story about son Matthew, 13. When they went through a checklist of 37 common characteristics of dyslexia last year, he exhibited most of them. Reading and writing exhausted him as he tried to keep up in school with this huge handicap. “He made valiant efforts. We could count on one hand the number of outbursts he had at school so it was very difficult for the school to understand. But he’d get in the car to come home and he’d be a volcano and just explode,” says Susan. As is common with dyslexia, Matthew is extremely bright. And he is so witty, he’s a natural stand-up comic. Matthew went through the Davis program last May and this year, in Grade 8, he is on the honour roll. “The school system,” Scott says, cannot and does not look after people who do not fit into the school of little fishes. If anything is out of the ordinary or out of the box, you are in big trouble. “I would say, if you’re a parent and you know, and have always known, that you have a bright, intelligent, loving, caring child, who for some reason isn’t making it in school in reading, writing and spelling, and you’ve put him through different assessments and can’t put a finger on it, and you know you’re a good parent, have them assessed for dyslexia,” urges Scott.